Community Hall – available for hire! 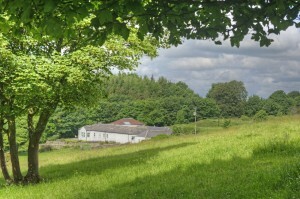 Orroland estate is home to three self catering properties; Cutlar’s Lodge, Abbotsway Cottage and Orroland Lodge. Situated within a private estate full of wonders, the properties overlook stunning countryside and sea views. Each property enjoys peace and privacy, with great character and charm. Orroland Lodge is a popular location for family gatherings, birthdays, weddings or anniversaries and sleeps 14 in comfort. It is possible for larger gatherings to book all three properties which would sleep a total of 27. 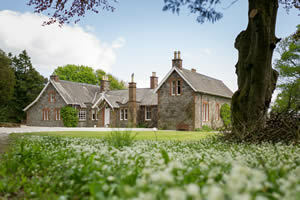 Cutlar’s Lodge is just a stone’s throw from the wild flower meadow and private loch. It accommodates 6 people in a double and two twins. Many of our guests are couples who enjoy plenty of space and a special price for 2. Abbotsway Cottage is set apart up its own drive and offers particularly spacious accommodation for 7 people in a double, single and family room with twin beds and bunks. Couples can also enjoy a special price for two at Abbotsway Cottage and short breaks are welcome out of peak season. 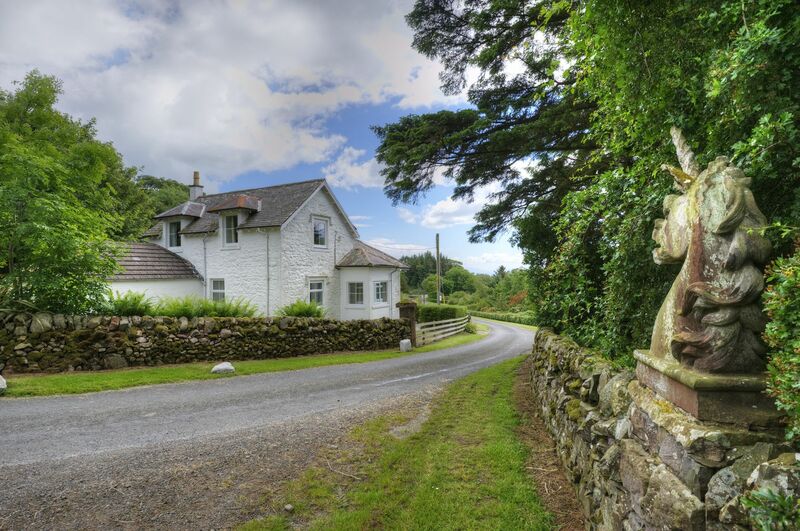 Peace, privacy, fun and exploration abound at Orroland; providing an ideal location to explore the region of Dumfries and Galloway. All properties are graded for quality by Visit Scotland. They offer 4 star comfort (4 star means ‘excellent’) and offer safe freedom for children and dogs. A holiday at Orroland is good for the soul, peaceful and private with a touch of Famous Five adventure! Abbotsway Cottage is 25-minutes walk and Cutlar’s Lodge 20-minutes walk to the private rocky shoreline of Orroland Bay. Here there are rock pools to explore and huge flat rocks providing a base for picnics. There are several sandy beaches within 30-minutes drive including Redhaven, Sandyhills, Brighouse Bay, Mossyard and Carrick. Crabbing in Orroland Bay or in Kirkcudbright harbour is great fun. Kirkcudbright is just 15 minutes drive away.